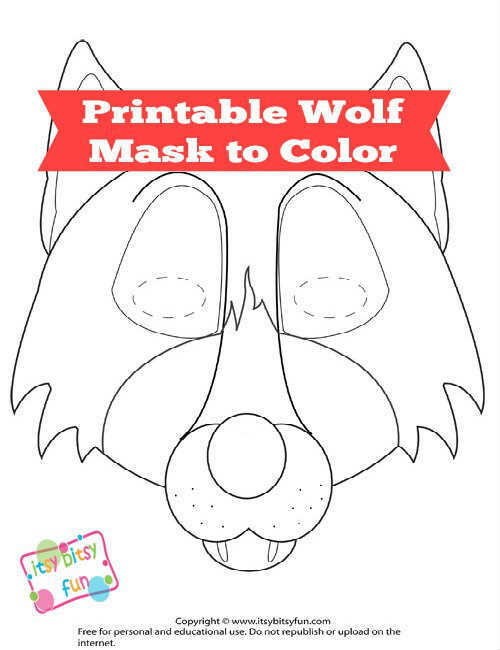 Engage in some dramatic play with this fun and free printable wolf mask template! The Little Red Riding Hood was always one of my favourite bedtime stories and I couldn’t help myself not to feel sorry for the wolf from time to time as I was fascinated by these magnificent animals. 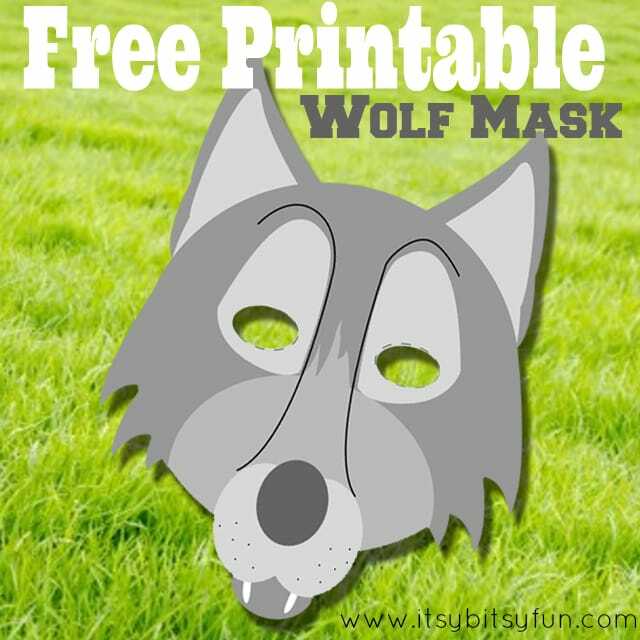 This freebie can be used as the big bad wolf mask or as an educational aid with the unit study (or anything else really). If your kids love playing with paper mask they will love having this one in their collection. But why only play with the head? Get a pair of grey gloves and glue on white paper claws – kids will be lowing this. And while you are at it thy not make them a wiggly tail too? You can print these on a regular paper but they will be way more durable if you use harder paper. If you want to have these for ages to come why not laminate them? This way they will be durable enough to survive rough play and even water being splashed on them.